It's not the car  it's the aesthetics. 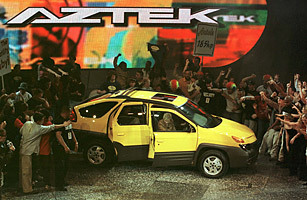 Though it was launched in 2001 with the tagline "Quite possibly the most versatile vehicle on the planet," its drivers had a different take: the Aztek was quite possibly the ugliest vehicle on the planet. Pontiac kept the car around until finally mercy killing it in 2005, but this was one idea that should have been left buried in the jungle.